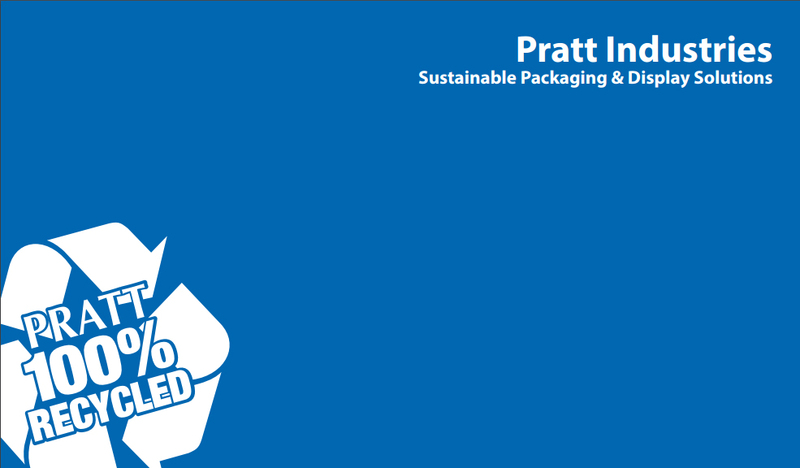 Pratt Industries a leading provider of high-quality paper-based and other packaging solutions, has a history of and commitment to sustainable business practices. We back up that claim every day with unprecedented investment in innovative technology at our mills and converting facilities, an emphasis on paper recovery and recycling, a commitment to creating quality green jobs, and engagement in the communities in which we live and work. Pratt Industries has been involved in protecting the environment for decades, using technologies and systems like the above, that are designed to minimize the use of the Earth’s limited resources. Our focus is on reclaiming fiber through recycling OCC (Old Corrugated Containers) and Mixed Paper and converting that discarded fiber into 100 percent recycled packaging, thereby reducing our impact and our customer’s impact on the environment. Realizing that our environmental efforts also help our customers meet their own sustainability goals, we are pleased to make available this summary of related practices and accomplishments which we carry into 2019 and beyond!